Links to individual model-makers .. or artists working with the ‘model’ form .. can be found in the separate model-makers section, while the Suppliers section has links to manufacturers and retailer sites. This page is devoted to everything else that I would strongly recommend as useful or inspirational! Although the figures produced by ‘Salao Coboi’ reference the familiar from comics and toys, there’s also much about them that’s really quite unique. 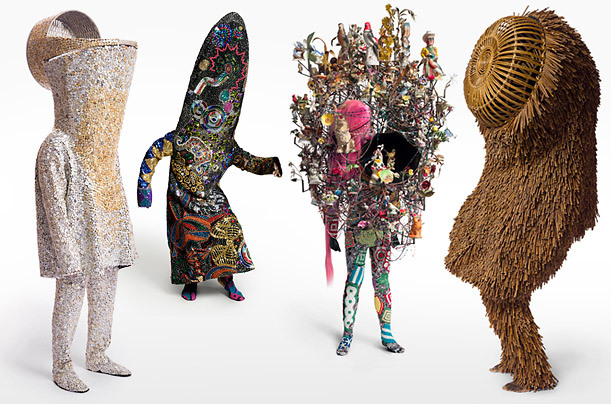 Salao Coboi means ‘cowboy salon’ and the name was adopted by a Portuguese artist’s collective in 2009, though the figures exhibited from 2011 onwards are largely the work of the group’s co-founder Apolinario Pereira. Although they may look as if they should be small, many were more than a foot high and produced as hand-painted resin casts in limited editions. 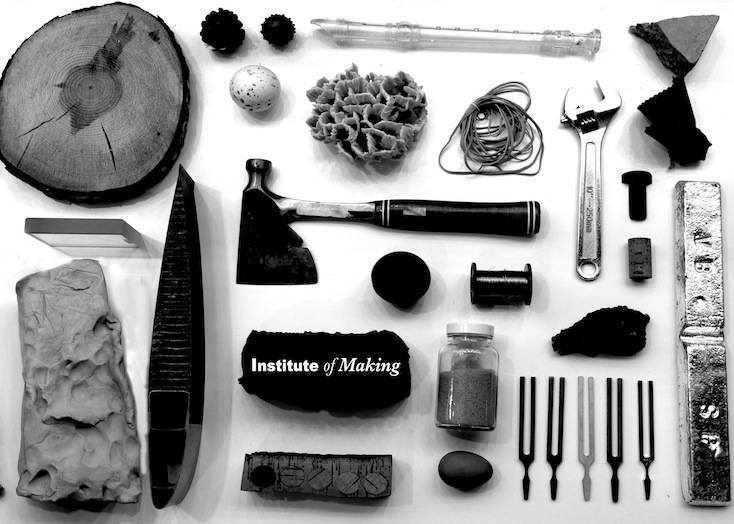 The Institute of Making describes itself as a ‘cross-disciplinary research club for those interested in the made world’, opened in March 2013 and housed in the Engineering faculty of University College London. Full membership of the ‘club’ is only open to UCL students and staff .. but the website, the excellent Materials Library and a variety of talks and workshops are open to the public. 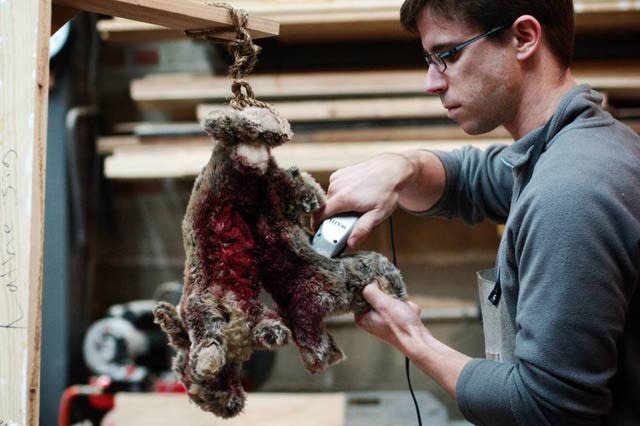 This is not all about the search for flexible concrete or transparent aluminium .. recent public masterclasses have included spoon-carving, felt-making, animatronics and ‘low-cost 3D scanning’. I first saw Grace’s work at her BA Design for Performance degree show presentation at Central Saint Martins this year (2014). 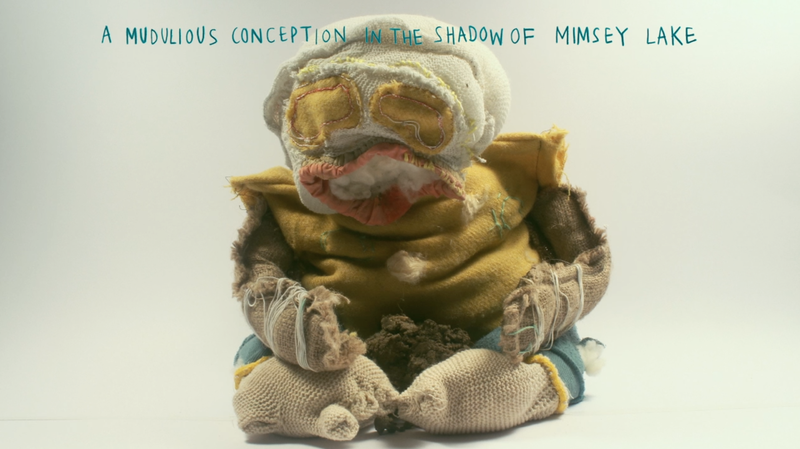 Her 7.49min stop-motion animation Pupa is what I’d call ‘the genuine article’ .. charming, unpretentious, and really well-made for what it sets out to be, in her words ‘motivated by non-precious childlike creation’ and founded on exploring tactile and material experiences. It’s certainly one of the most glutinous, squashy and fibrous pieces of animation I’ve seen! A couple of years ago, when I was doing my usual sessions on ‘white card’ model-making for film/tv production design students at Wimbledon College of Art, I searched around for some more interesting examples combining model and drawing .. and found exactly what I had been looking for in Edwina’s work! Edwina originally studied film/tv design at Kingston but then went on to do an MA Illustration Authorial Practice at Falmouth. The image above is from her own on-going project ‘The Tale of Thomas Dudley’ for which she combines narrative, 2D illustration and 3D models. 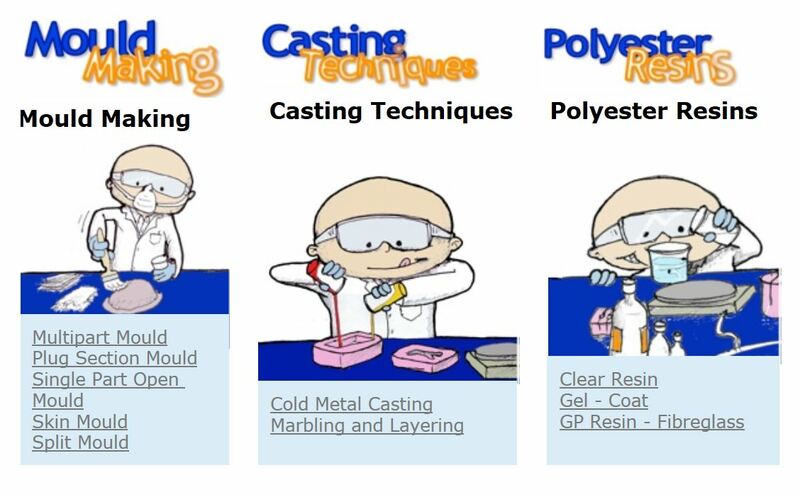 This useful, well-organized and friendly-looking ‘how to’ website .. a ‘dedicated electronic resource for mould-making & casting methods and materials’ .. is the work of Richard Arm, Senior Technician/Lecturer in the School of Art and Design at Nottingham Trent University. It is perfect for anyone looking for a clear introduction or an overview of the creative possibilities. The Victoria and Albert Museum is Britain’s flagship museum of historical and contemporary art and design, and one of the world’s largest collections of its kind. 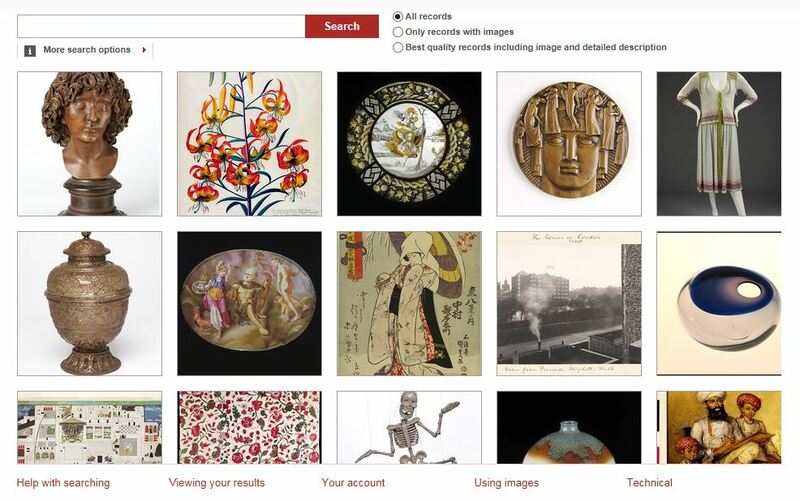 Its online database contains almost half a million images which can be searched by keyword. If you’re looking for something very specific it’s best to enter general keywords first .. i.e. ‘armchair’, which will bring up thousands .. and then refine from the drop-down choices given. Medium-size images can be easily saved by right-clicking, but high resolution versions are also available for personal or academic use on signing up. Although the choice has its limits, the main advantage of using this first over Google is that one will receive accurate and often detailed background information including provenance, dimensions, makers and materials. It is particularly useful for furniture or prop research as many of the entries include multiple views and detail close-ups. 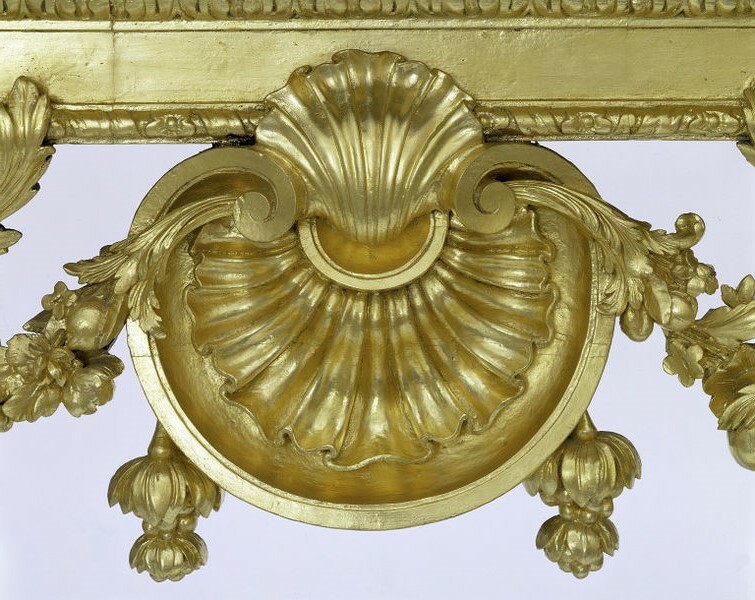 Above and below Decorative side table, mid 18th c, originally from Ditchley Park, Oxfordshire. 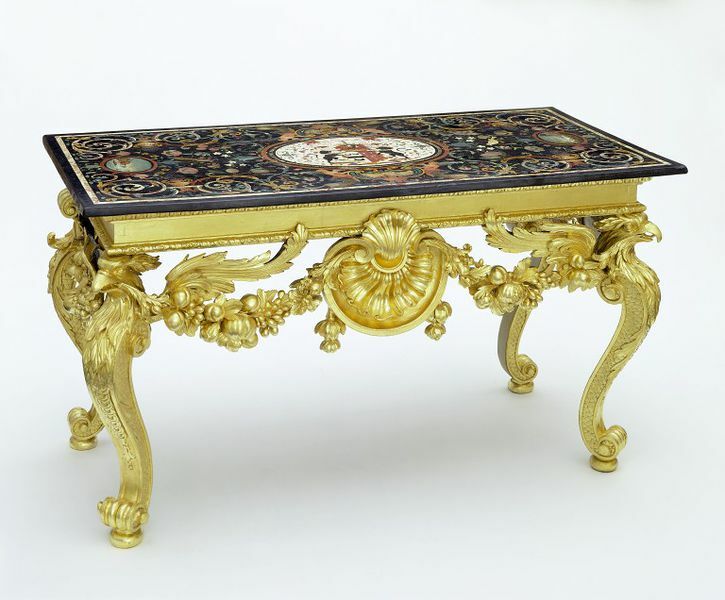 England/Italy (base designed by the architect Henry Flitcroft 1734-1743, table top made in Italy 1726). Photos © Victoria and Albert Museum, London. 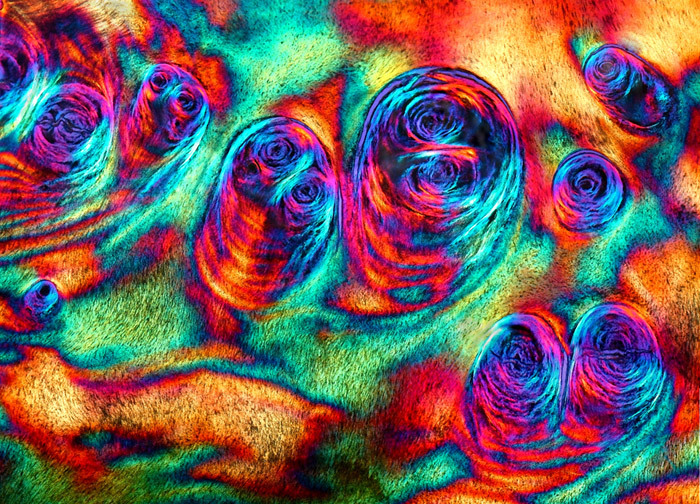 Nikon’s Small World Competition was established in 1977 and has taken place every year since, featuring the best and often the most beautiful examples of photography through the microscope. 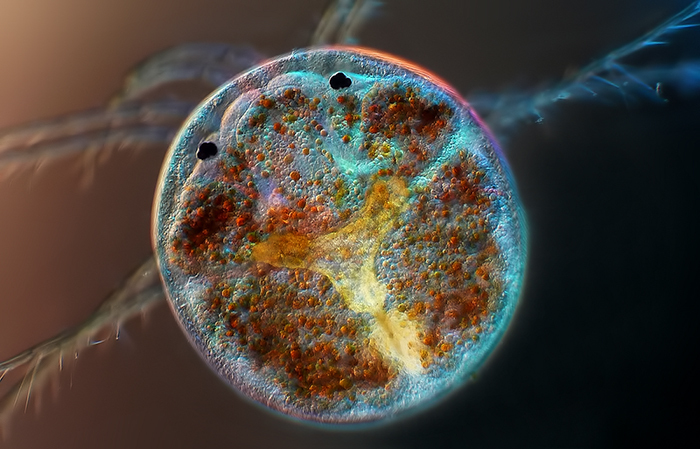 The Small World image gallery contains all the prize-winning and commended entries for each competition since it began. 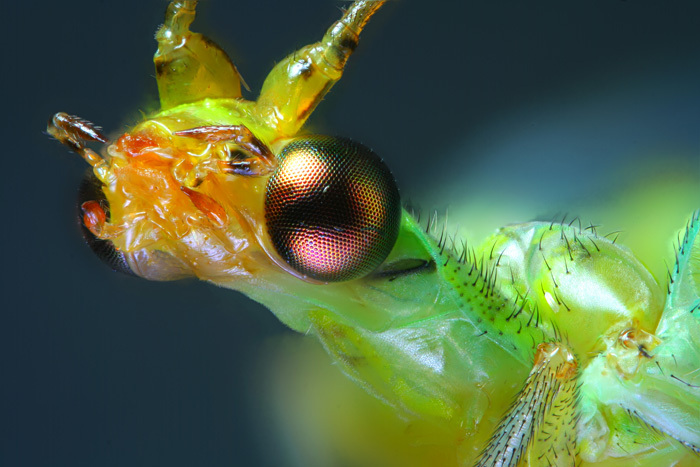 Apart from this the site is a textbook resource for those involved with microscopy and contains a huge amount of technical information which will be far beyond the casual visitor. However, the brief summaries of the different imaging techniques employed are clearly written and well worth looking at. The site is a must for anyone interested in the subject, whether professionally or otherwise. This is a huge, free database of photographed textures, in its own words ‘striving to be the world’s best texture site’ and in my opinion succeeding! It is founded/managed by Marcel Vijfwinkel and Wojtek Starak in the Netherlands and has been conscientiously maintained and added to for a number of years now. What characterizes the site .. apart from its vast range! .. is its simplicity and fairness. Basically it allows any form of private or commercial use unless the texture image itself is just being re-sold unmodified or bundled with a product as it is .. but you need to read the ‘Conditions of Use’ because it can get complicated! You have to register for free membership which allows up to 15mb per day or paid membership starts at 100mb. 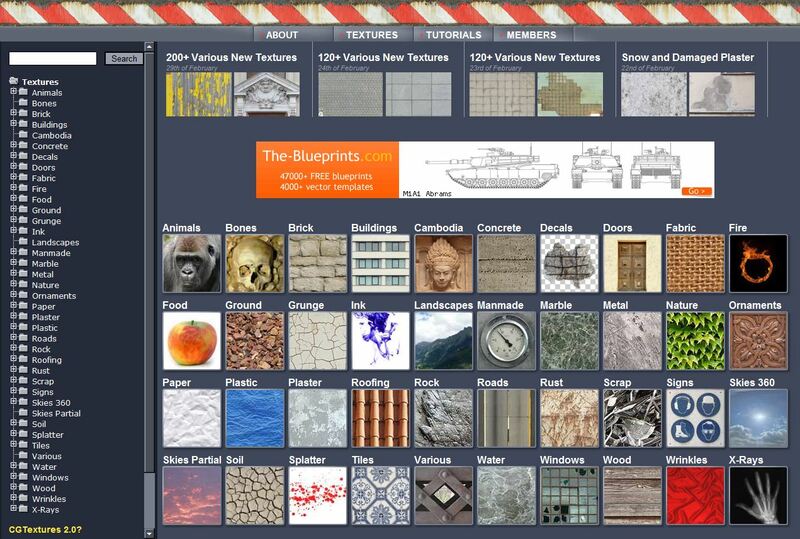 There are more than 100,000 real surfaces to choose from, organized into clear categories, and most are available in resolutions up to around 3,000 x 2,000 for free. It’s well worth a look in the ‘Showcase’ section to see how CG artists utilize these textures. During its development CGTextures accepted masses of photo contributions from enthusiasts (and these are dutifully still credited on the site) but now it has a select team of photographers which include the founders. There are also some useful tutorials, including tips on how to take one’s own surface photos properly. There are a great many figure reference sites out there, most having similar names, but this one struck me as one of the most organized and .. there’s no better word .. sensible! It concentrates on the fundamentals one needs to know rather than merely re-trawling from the vast sea of figure photos like the others do and it instructs mainly through diagrams, keeping text to the minimum. Because of this you need to study the visuals to understand what is being said, but that’s a great deal of the point .. and it’s well worth it! Some may find it a bit simplistic, and some may disagree with the choice of priorities, but I can say that these visuals have been useful for me and they have stuck in my memory while working. I’ve always found 3D figure scans a particularly valuable source of reference and the site makes good use of these for some of its illustrations. The thought of a woodwork-related site might conjure up visions from the bad end of ‘retro’ .. fuzzy snaps and hideous neon text! On the contrary, the site alone is worth looking at as an example of a sleek, classic/modernist jewel .. clear and simple on the eye, but seriously rewarding if you have the time to delve! Christopher Schwarz and John Hoffman introduce themselves as ‘two woodworkers with laptops .. trying to restore the balance between hand and machine work by unearthing the so-called ‘lost arts’ of hand skills’ and by publishing a small selection of woodworking books .. including reprints of antique works, some new ones and some fiction. There is also a WordPress blog attached, furthering the same cause, with a lot of info and good photos. 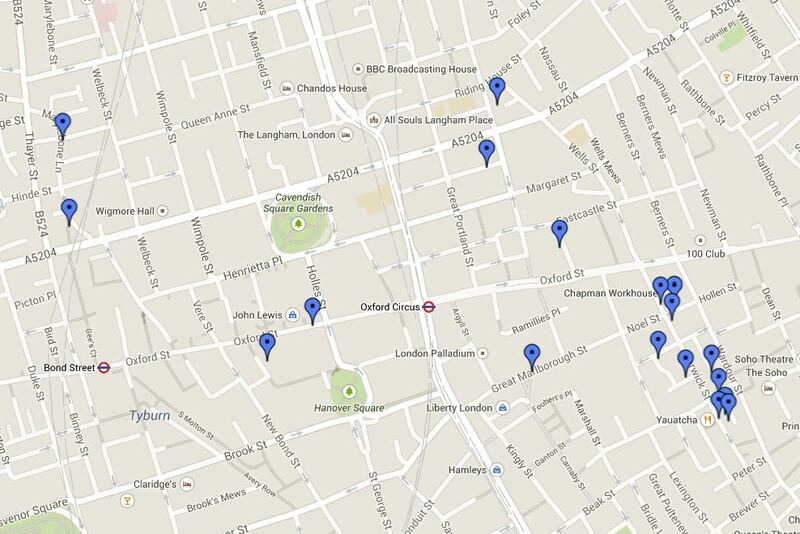 This is the best little guide to fabric shops in London that I know of. Unfortunately the compiler, Susannah, signed off in 2011 and went back to the States promising that someone else would ‘take up the torch’, but that didn’t happen. Nevertheless you’ll see it still popping up everywhere to this day because it’s still very useful. Almost all of the links still work and the maps are still valuable, because most of the fabric or haberdashery shops recommended are long-established. 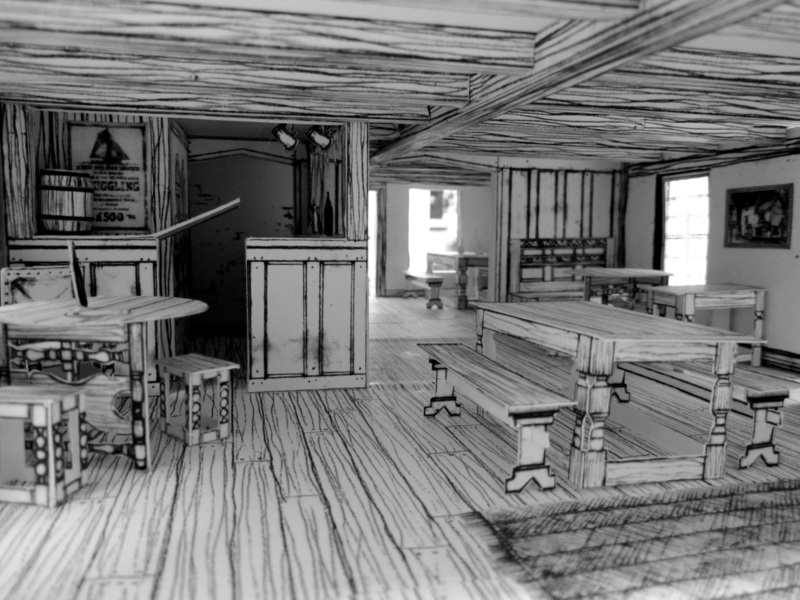 Although I’ve visited the Geffrye Museum countless times in the past as a theatre designer, I don’t remember their website being quite this good! 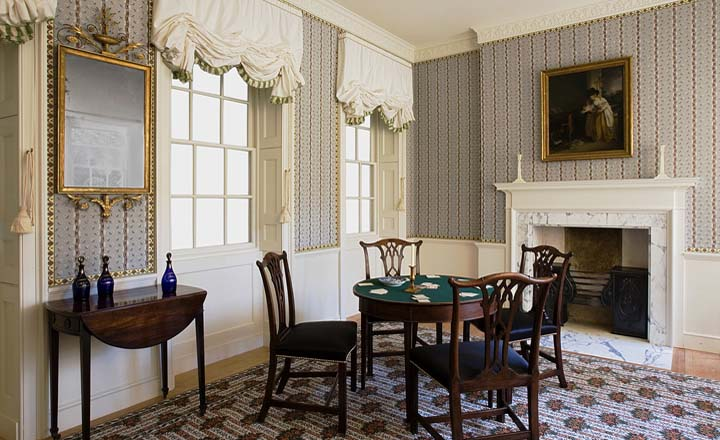 For those who don’t know, the museum comprises 11 recreated period rooms, from the late 17th-century to the present day .. and is an essential visit for anyone interested in period interiors. But their website is also packed with value for designers, or researchers of anything domestic! If one can’t get to London to see the rooms there are some good photos and 360degree views of each .. but move the viewer slowly, otherwise it may make you nauseous! But the Geffrye also maintains a collection of objects and images relating to ‘the material culture’ of the English home from the 17th C to present day, and much of this has been made available online. Although much smaller than the V&A collection, in many respects it’s more useful for period research. A search for ‘chair’ will produce 346 entries arranged chronologically .. so for example if you’re looking for images relating to chairs around 1780 they will be grouped together. Each chair is photographed clearly in multiple views and some details and the ‘Detailed Description’ includes basic measurements. 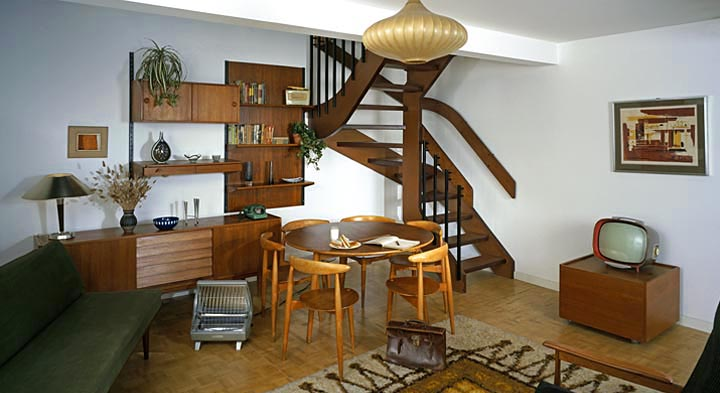 Elsewhere on the Geffrye site the ‘Documenting Homes’ collection concentrates on current domestic life and the previous century with lots of photographs of homes submitted by the public, starting from 1910. In the ‘Collections’ section are links to complete copies of a number of household catalogues dating from 1885 to the late 1930s. I didn’t know that there are almost 30 different types of ‘oak’ in use! 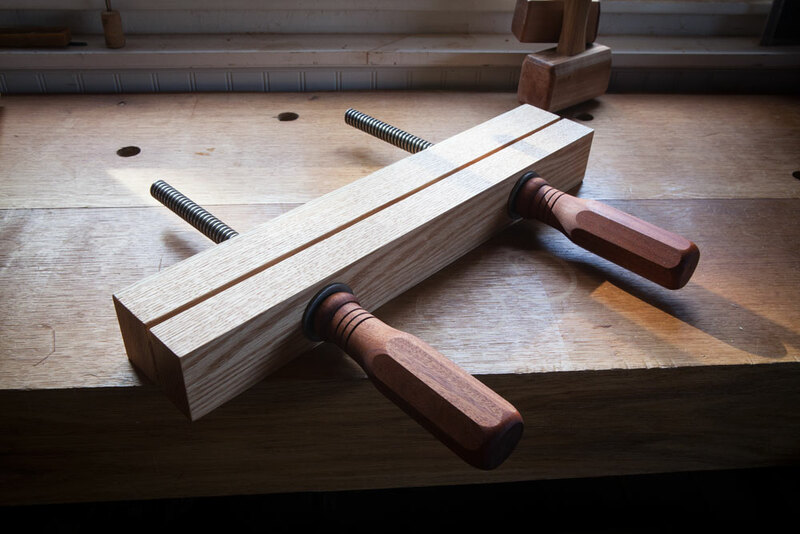 Anyone who’s interested in wood will like this site, but I’d imagine most would know of it already. It’s also very useful for anyone who wants to identify a wood or just find out the basics of a particular one. 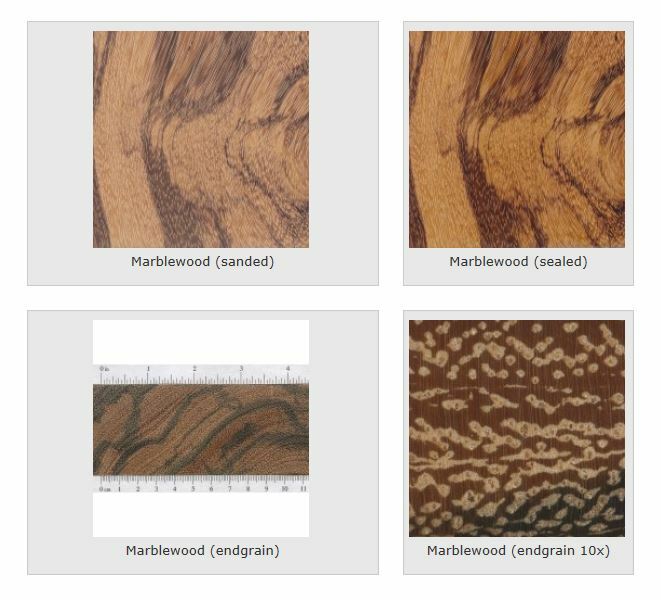 It’s a very long list, and each entry contains clear sample photos ..comparing the appearance sanded with ‘sealed’ .. together with information on origin, common uses, working properties and sustainability. Eric Meier started his database in 2007 and has developed it with help from other wood professionals and enthusiasts.